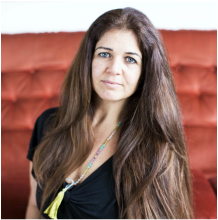 Alexa is a Doula, Hypnobirthing Childbirth Educator, Placenta Remedies Specialist, Massage Therapist and Yoga Teacher specialised in pregnancy and postnatal. She is passionate about active, positive and conscious birth and supporting pregnant women and new parents through their amazing transformation that parenthood brings forth. ​For full details take a look at her website Alexa Dean. ​My job is all about you, the baby and your partner (if you have one) to ensure that your childbirth is as positive an experience as possible. I give it all with an open mind and an open heart. No matter what decisions you make in your pregnancy, birth and life, as long as you have been accurately informed and make decisions that you feel are the right ones, I will support you all the way to help you have the best birth experience you can. That’s what is most important, no matter what the circumstances. I want to empower you, to make you have confidence in yourself, reassure you about your instinctive ability to give birth, help you make fully informed choices and respect your desires. My support is non-medical. I’ll be there for you to support you on the emotional and practical side of things. I spend time with you antenatally, getting to know you and your family and as your constant contact and companion during your labour and birth, I will do my utmost to keep you calm, reduce any anxiety you may have by ensuring you feel cared for emotionally and physically without feeling observed or judged when at your most vulnerable. We are a team and as well as all of the above, I am there to help with massaging, breathing, encouraging different positions to help with an active labour. I am also there as your advocate and to help reinforce your birth preferences and what you feel is most important to you during this time. Though it is my job to ‘mother the mother’, I naturally appreciate the importance and significance of husbands/partners and am always happy to help with any concerns and questions they may have. My philosophy is that you and your baby are most important. You should trust your instinct and go with what feels right for you. I am there to support and care for you. Women have given birth since the beginning of time - they are strong and their bodies are amazing. So are you. I'm originally from Argentina, from English stock and I live and work in London since 2001.